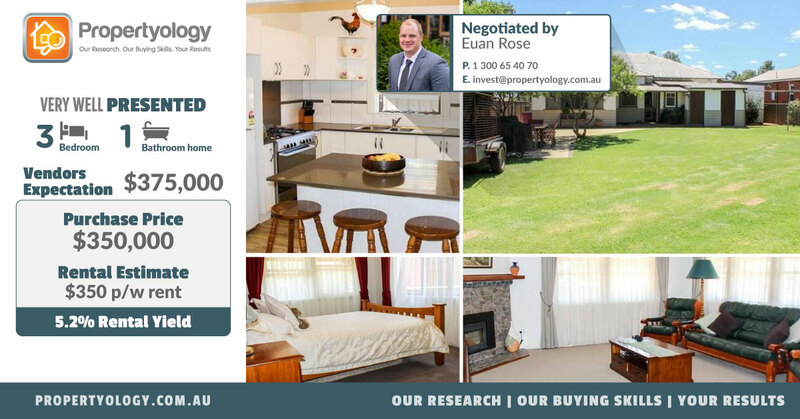 This particular property was on Propertyology Buyer’s Agent Euan Rose’s radar for some months. During his initial negotiations, Euan discovered the vendors expectations were well above his independent market appraisal. Even though our client’s budget would have allowed them to purchase the property at the asking price, Euan did no further work on the property given he felt this price did not reflect ‘astute investing’ and moved on. With this property being secured, Ben and Claire are now the proud owners of a very low maintenance property in an very exciting and economically diverse regional location. Congratulations Ben and Claire! Very much looking forward to assisting again in the future.